Happy graduation!. I made this quickly for my sister's graduation card. xD. 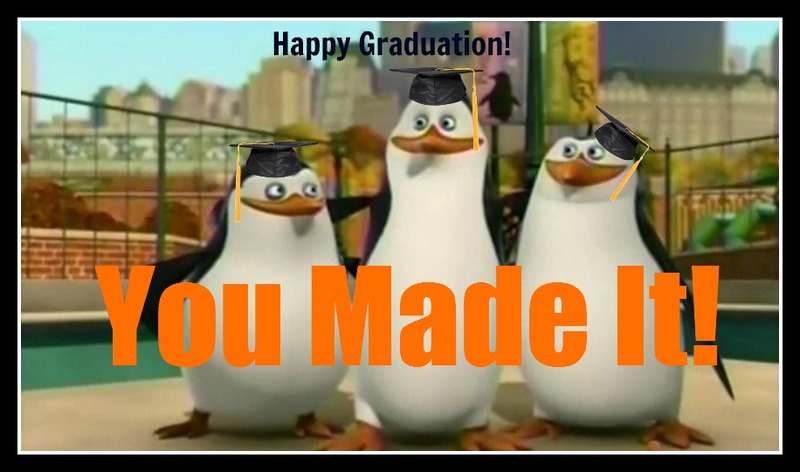 HD Wallpaper and background images in the 마다가스카의 펭귄 club tagged: penguins of madagascar. How do 당신 lift an entire 펭귄 into the air? Really nice. I like it. By the way, congratulations to your sister! XD nice. Yo wanna know the ironic part though? Looks awesome! I'd love to have one for my graduation; they should make cards like these. That was really nice of you to do for her. :) I hope she has an awesome graduation. Very nice, congrats to your sister. Aww! That's amazing and adorable!! Best graduation card ever. X3 And congratulations to your sister! 만화 노래 the nick song!